I am happy to announce the release of MetaMapR (v1.2.0). An application of MetaMapR was recently featured in an article in the Nov. 4th 2013 issue of Chemical & Engineering News (C&EN) , 91(44). 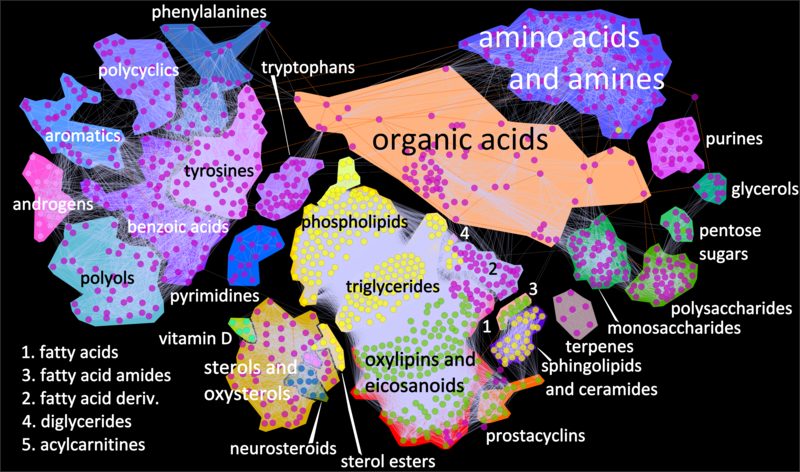 This tool was used to generate a network of > 1200 metabolites based on enzymatic transformations and structural similarities. 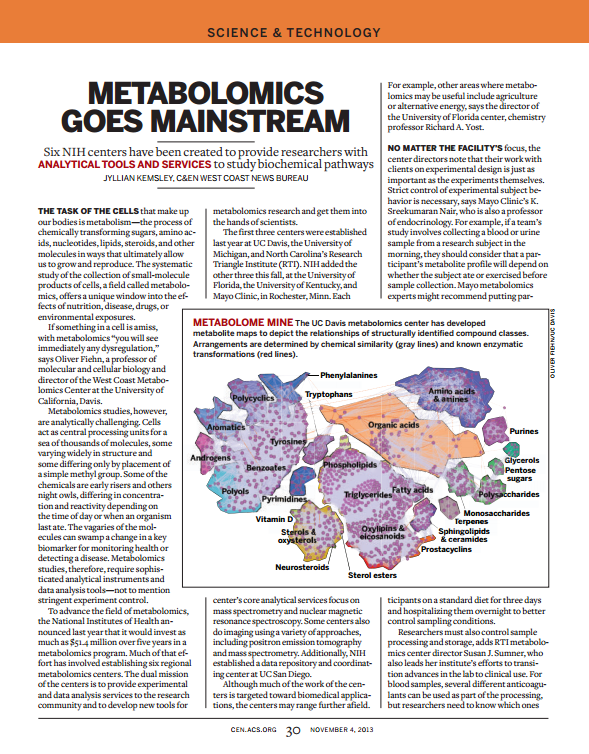 The full article can be found be found here as well as the original image.